I’ve finally completed my first month of working on my blog. I’m starting my Income Reports before I actually have an income as the expenses have already started. Yes, you have to spend a little before you make anything. I only launched at the very end of May so I don’t expect to have any income this month and not much for at least a few months. 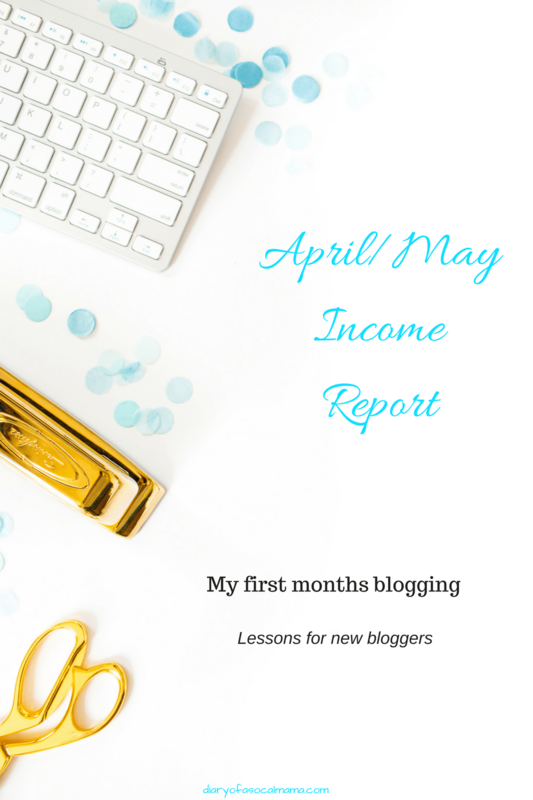 The first income goal is to earn enough to cover the cost of running the blog. $9.00 Fiverr – I used a freelancer on this site to create my site logo. I got lucky and loved what I got on the first try…I’ve heard it can be hit or miss at times but I got something I loved my first time out. Click here to get a freelancer to help you with your blog. You have to spend a little to get started. I wish I had waited a little longer to launch. Don’t write time sensitive posts until you have a good amount of other content ready. I had spent a bit of time writing a Father’s Day gifts posts so I had to launch if I wanted to get that post out there but I wasn’t truly ready. I was still figuring out the basic nuts & bolts of blogging so I was limited on time to actually promote that post and write additional content. Without that post I probably would’ve waited another month before launching. So I guess the takeaway here is to not rush, it’ll be less stressful and you’ll have a better site at launch. Write more posts. It’s early days so I want to focus on beefing up my content. Continue to figure out how to blog. There are so many variables that I’m still learning. Learn a lot more about Pinterest as it’s apparently the key to getting blog traffic.